Summer is nearly over, so now is the time to start thinking about putting your boat in storage for the upcoming winter season. However, boat storage isn’t as simple as docking it in a marina or leaving it in your driveway. Consider the helpful guide below to learn more about how to prepare your boat for storage before cold weather arrives. Cold weather and extended periods of non-use can cause significant problems for a boat’s engine, including accelerated corrosion. If you don’t winterize the vessel before putting it in storage, its performance can suffer and cost you thousands of dollars to fix. Begin winterizing your motor by flushing the cooling system to remove traces of salt, sand, and mud. These materials often retain moisture, which can lead to chemical corrosion inside the aluminum cylinder block. Then, take out the boat’s battery to prevent it from self-discharging and weakening over time. 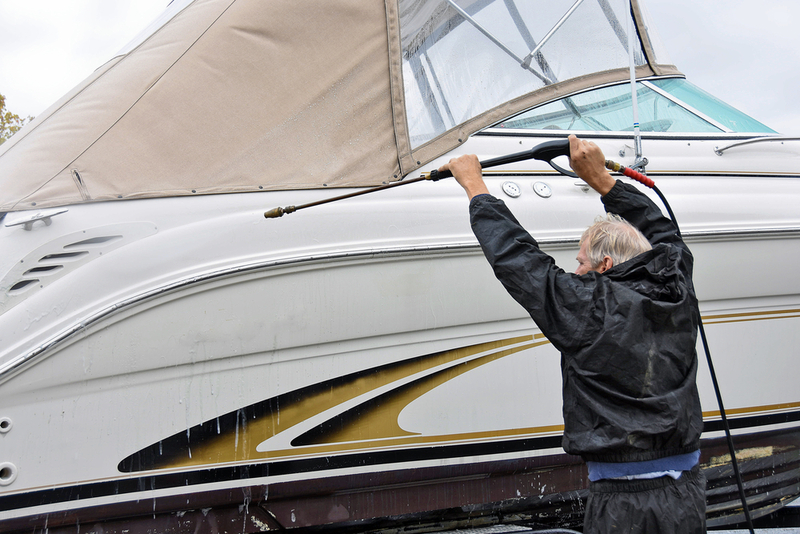 Boats can accumulate a lot of grime and gunk during their time on the water, so it’s necessary to give yours a thorough cleaning before storing it for the winter. After you pull your vessel out of the water, take out its bilge drain plug and scrub the deck and hull. Don’t forget about the interior; remove anything that can spoil, especially food from the refrigerator. Keeping your boat on your property takes up a lot of precious space in your yard or driveway and leaves the vessel exposed to winter weather. However, indoor boat storage facilities will keep your boat protected against the elements. It will also protect it from potential theft and vandalism. Unlike marinas and your yard, boat storage facilities keep your property secure and inaccessible to trespassers. If you need to put your boat in temporary storage, you can count on American Self Storage to keep your items safe until your return. With over 20 years in the industry, this leading storage company offers a variety of services, including RV and boat storage, 24-hour surveillance, and climate- and non-climate-controlled units. To learn more about their services, visit their website today.